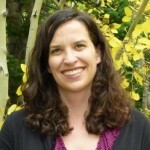 Jenny Shank is a fiction writer and journalist in Boulder, Colo. Her first novel, “The Ringer,” won the High Plains Book Award. Her stories, essays, satire and reviews have appeared in The Atlantic, McSweeney's and The Guardian. The Short-Term Benefits of Helping Low-Income Kids Are Apparent. But What About the Long-Term Impact? The Number of Farmers Is Dropping. So How Will the U.S. Continue to Feed the World? How Can One Nonprofit Solve Two Big Problems Facing Both Veterans and Low-Income Kids? Why is This Man Making Homeless People Do Push-Ups? How Paper Airplanes Paid for a Veteran’s Trip to Washington, D.C.